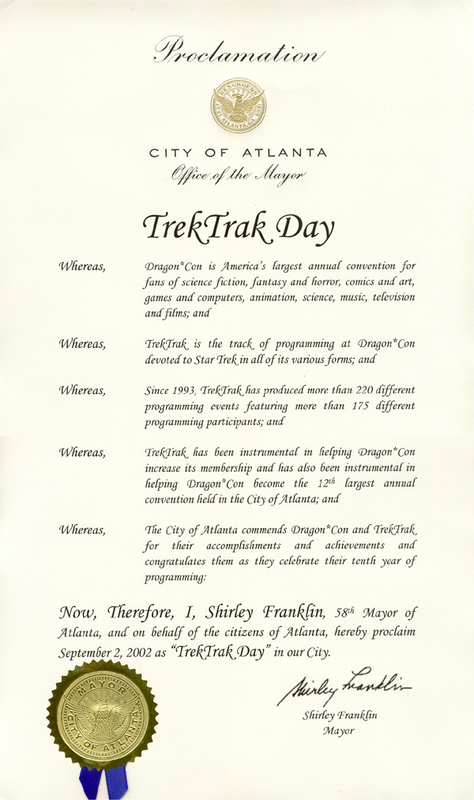 Mayor Shirley Franklin proclaimed September 2, 2002 as "TrekTrak Day" in the City of Atlanta -- click here to see the Mayoral Proclamation! The photographs displayed on these web pages are protected by copyright. Should you choose to "borrow" any of them to display on any other web site, kindly notify and acknowledge the copyright holder (Copyright © 2002 Eric L. Watts) and the source URL (www.TrekTrak.com). Thank you. Copyright © 2002 Eric L. Watts. All Rights Reserved.